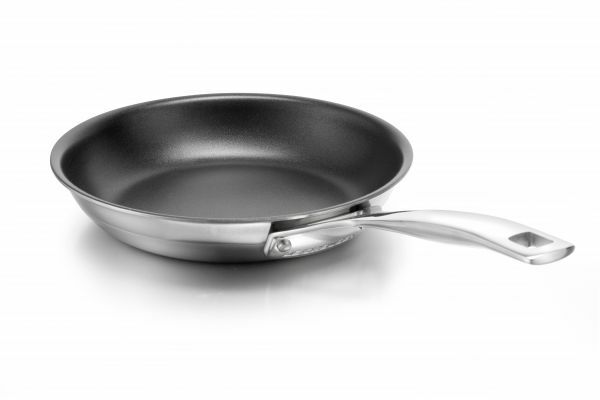 The amount and type of frying pans available are numerous and can be quite overwhelming. In this post I hope to help you with what I consider to be essential, and what I consider to be a luxury. If you are starting out then I can highly recommend that you spend your money once, and buy the best. I have Le Creuset and Scanpan frying pans at home and the quality is what counts. They will last a lifetime! The first frying pan on your list should be something versatile and that you can use for anything and everything. 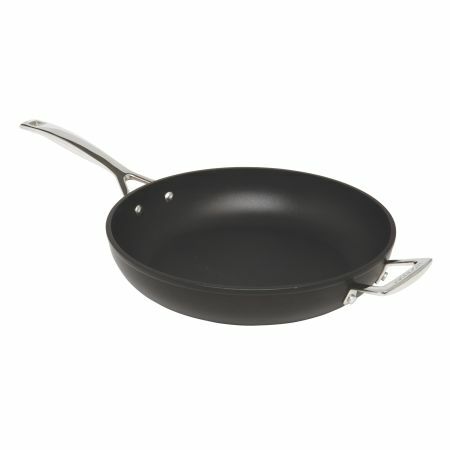 A large non stick frying pan is perfect for meat, making eggs and crêpes. Next I would get a stainless steel sauté pan that has a lid. This can be used for getting a lovely brown colour on your proteins, as well as cooking clams and mussels. 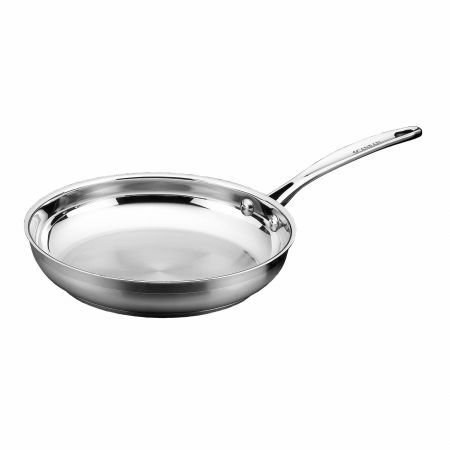 I have both a lidded and non lidded stainless steel frying pan. Now that you have the two basic frying pans you can slowly add to your collection. I have an oval shaped non stick frying pan for frying fish and a cast iron flat crêpe pan which I can also use for crumpets. My most recent purchase has been an omelette pan which is non stick and is perfect for a 4 egg omelette. I use it to make scrambled eggs and it fits perfectly into my oven. You should not need more than this to make your collection of frying pans complete. Disclosure: I have been given permission to use these images from yuppiechef.com and a big thank you goes the Yuppiechef team for this! This post is in line with my blogging policy. Tremendous publish! I lately brought a cast iron pan to the collection and certainly find it irresistible. It’s now not so accurate for such things as eggs and omelettes but it sincerely conducts warmth nicely and speedy too. Shows my inexperience when it comes to cooking! This is shameful to admit but I own all of 2 pans and one is nearly on its way out. I seriously need to fix this. Thanks for the inspiration, Tandy! Great advice – Tandy – I love my frying pans. You’re right, if you buy quality kitchen tools, they’ll last long enough to pass down when we’re gone. I wonder if the kids would like my pans? Pans and pots is something we need to replace. I got a fright when I started pricing them. Oh, don’t look at the prices Mandy, it is enough to make you faint!